I’ve only got myself to blame, I suppose. For years I’ve been gloating, sometimes in this slot, that there is no such thing as a bad car any more. Arguing that the days when Ford Cortinas would refuse to start and VW Beetles would conk out on the way to the airport are no more. That modern-day Skodas are as good as the best Mercedes of the 1980s and Hyundais are as good as Skodas were a decade ago. 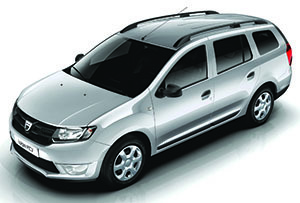 But then the Dacia Logan arrived. ‘Hate’ is a strong word. There are not many things I truly despise in this world, short of ISIS and teenagers in north London cafes complaining about jet leg. But I actually hated this car. Not least the way it looked. I’ve never really understood what Americans in 1980s TV movies meant when they referred to the family ‘station wagon’. But I’m guessing they meant something like the Dacia Logan MCV, not only because it looks like something that might have featured in a 1980s American TV movie. The manufacturers have attempted to make up for the ugly profile with a shiny chrome grille, and fat lettering on the back. But the gesture is the vehicular equivalent of plonking a flower bed in the middle of Preston bus station. It remains a supremely unattractive vehicle. I’m not proud, but I was so embarrassed by the Logan that I parked it on a street adjacent to mine. And tried to drive it only at night, to avoid being seen in it by family or friends. The experience behind the wheel was no more soothing, not least because of an erratic array of options, arranged erratically: rear parking sensors, but no front ones; a cruise-control system controlled by a complex combination of buttons scattered over the steering wheel and on the dashboard under the radio; a horn that was operated, I discovered too late, via a stick near the indicators. As for the driving experience, I’ve had more relaxing experiences falling off push bikes. The mostly ineffectual air-conditioning system was at times louder than the anaemic engine. The creaks emerging from the bodywork were at times louder than the air-conditioning system. And I never managed to make the seat comfortable. The Logan is insanely cheap of course, starting at just £6,995, and has a ‘best in class boot capacity’, but the nicest thing I can bring myself to say about it is that the tinted windows come as standard.